“It was worth it,” Kanoni said aloud. She stared at the scattered glistening parts strewn across the desolate desert landscape. “My little bird,” a soft voice arrived on the wind. Kanoni ignored the voice and started to gather the pieces from her wings. “I am not your little bird!” She hissed before scooping up a gear no larger than her thumb. “Yes it is. What if a mortal had seen your flight?” The voice rose and fell, wind driving the words into her. After a few moments of silence, Kanoni looked to the sky. Tears filled her eyes. She hugged the clockwork pieces and as each tear dripped from her chin, it tarnished the gleaming metal. A shadow fell across her. Dark smoke pulsated and billowed in the now still air, forming first a blurry image of a man, then it solidified into flesh. The man who was smoke reached out and placed a hand on Kanoni’s shoulder. “Kanoni!” he bellowed. The wind stopped and time seemed to heed to his outburst. Even the breath in her lungs bowed to the Lord of Wind. “You shall not say my name!” She screamed. “I have no father!” She dropped the parts onto the dusty ground. She spun to glare at her father, but when she did, he was gone. The stillness of the wind permeated her. Kanoni surveyed the parts she dropped. They were tinged red. She looked at her bare arms and saw the scratches and cuts the pieces had etched into her arms. The cuts didn’t heal and the pile of metal continued to receive her blood and tears. She saw the parts absorb her essence. Each fragment radiated a faint glow. If you truly wish to renounce our kinship, the voice formed in her head, I will allow man to fly. For you, I would even let them prosper. The voice was of her father. You must sacrifice your celestial self and accept the consequences. A light breeze wafted in, carrying bits of dust, hiding the pile of metallic constructs. The wind built and more dust covered the shiny bits. Kanoni knelt and picked up a shard of brass – gingerly at first, as if she had yet to make up her mind. Her fist closed around the jagged edge and it bit into her palm. Trickles of blood filled the indentations and crevices of the shard, overflowing her fist and dripping on the dust-covered pile. Kanoni cast the bloody shard into the pile and watched as the parts gleamed brighter than the sun. So be it, the voice intoned. Kanoni’s back arched and brilliant white light escaped from her cuts. A pillar of smoke lifted her body into the sky. The same smoke scattered each remaining fragment of what was once the most beautiful set of clockwork wings the world would never see again. As each piece impacted the parched desert, lush green foliage spread out from each crater. Seeds rode the wind and scattered to and fro, bringing green to what was once pale. Bodies of water rose in the areas not touched by the foliage – water shaped like the largest remaining pieces of her wings. Finally, each piece was scattered. The light faded from her wounds and the smoke dissipated on the wind. Her unmoving body lay on one of the only remaining patches of sand and dust. As the wind caressed her broken body, Kanoni’s last thoughts were of the wonderful world her defiance had created. This entry was posted on Friday, October 3rd, 2014 at 11:56	and tagged with terribleminds, Victorious Maiden 2 and posted in fiction. You can follow any responses to this entry through the RSS 2.0 feed. Wow. You took it an entirely different direction than I had imagined it. Very imaginative. I enjoyed it. Very evocative and getting a lot of mileage out of what looks – at first glance – to be a rather simple theme. I loved the understated, but powerful imagery. Thanks! 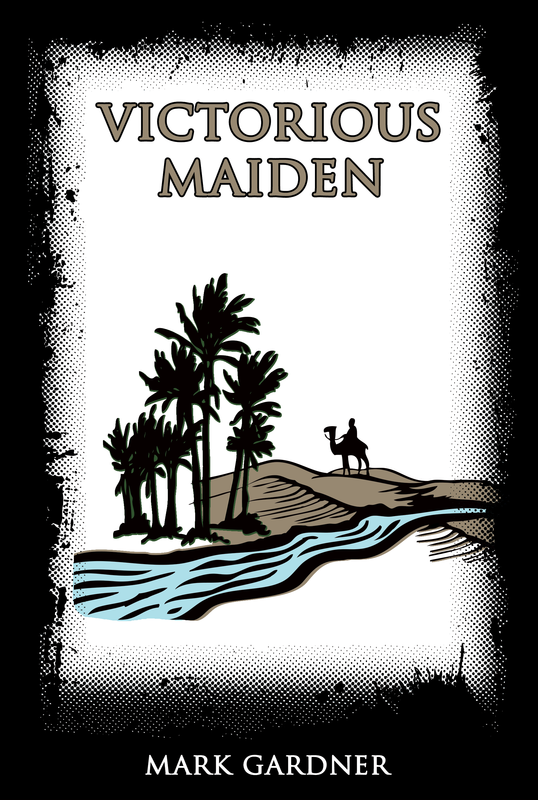 Have you read any of Victorious Maiden? Although this is not specifically a part of that story, I drew on themes from it. Really like the imagery in this one… And totally want a pair of clockwork wings! Lol, if only everything would go so smoothly. Nice job – very well witten. Thanks, Kate. The whole thing seemed to work and I had a lot of fun writing it. Well done. Lovely myth to read. And it does feel like that, like a myth. Thanks, Sonia. Be sure to check out other fiction on my site!